Feeding 9 billion people by 2050 – undoubtedly one of the most daunting challenges facing the world today. But in Tennessee, the mindset is optimistic with a plan to turn these challenges into opportunities. By focusing on the intersection of food, health and prosperity, and encouraging more partnerships and collaboration with the private sector, the state is a leader in fighting global hunger and preparing for the demands of a growing population. 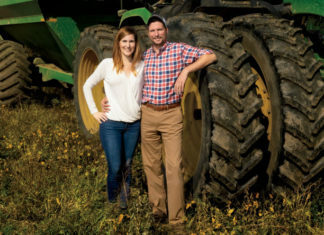 “There is one group that says you have to increase yields and grow more; the other group says we grow enough now, we just have to stop wasting 40 percent of it,” says Louis Buck, international and market development specialist at the Tennessee Department of Agriculture (TDA). Global Action Platform (GAP) in Nashville is on a mission to create abundant, nutritious food for the world and is engaging the private sector to achieve more sustainable and scalable solutions. Business investment is needed to further accelerate the application of new innovations in the marketplace and can also help build the capacity to get the food to the places it’s needed most. 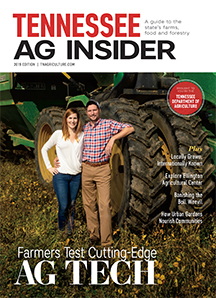 “The venture capital sector is starting to look very seriously at the food and ag sector as a major new opportunity,” says Dr. Scott Massey, who leads the business-university alliance called the Cumberland Center and is also chairman and CEO of GAP. The Center serves as the think tank for oneC1TY, a state-of- the-art 19-acre innovation hub located in Nashville dedicated to advancing health care, life sciences and technology industries. With these dynamic resources at hand and a trending increase in companies pursuing social solutions and shared-value opportunities, Tennessee has some exciting prospects for agricultural innovation and technology on the horizon. In partnership with GAP, Memphis Bioworks Foundation and others, Tennessee’s Department of Agriculture has developed a strategic initiative to further nurture agricultural innovation and entrepreneurial development, as well as increase farm profitability by finding more venture capital for ag startups in Tennessee. Aligning with the Governor’s Rural Challenge, the initiative will look more to the private sector to explore the challenges in production and technology related to global hunger. Although this new initiative is still in planning stages, it has already received positive feedback from leaders within the ag community. Tennessee has all the resources in place to make this new initiative a great success, according to Ed Harlan, TDA assistant commissioner for Market Development. This comprehensive toolbox has founded a growing confidence that the state will have no trouble attracting private investment capital both nationally and from abroad.